I could eat you for days. The Independent, also known as Independent Brewing Company, is an upscale new beer bar that opened in the old space occupied by Fanattics in Squirrel Hill. (Don't be fooled, it is not an actual brewery.) The Independent specializes in local beers, but they also offer a fully stocked bar for your consumption pleasures. There were some noticeable renovations to the space, mainly a nice patio, an updated bar, and a more open feel to the entire floor plan. 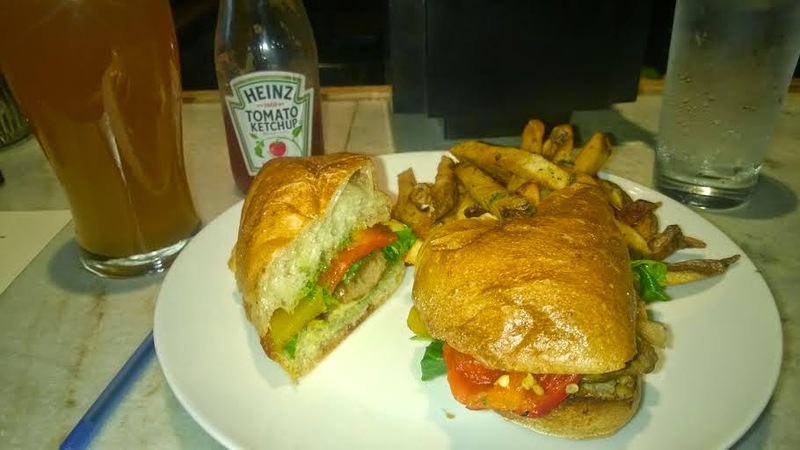 My sandwich, pictured above, contained veal sausage, roasted peppers, onions caramelized in cider from Aersenal Cider in Lawrenceville, spinach pesto and smoked gouda on a ciabatta bun. It was a knock out sandwich. Great textures and flavors with the perfect amount of bite from the pesto. The veal sausage was optional, but I found it mandatory. The sausage paired quite well with the onions and peppers and it really made for a fantastic experience. My main complaint about the Independent is that the food seemed expensive in regards to the portion size. While I'm not against the local food movement, I still prefer half priced chicken wings to a discounted sandwich that ends up being over $12 once you add meat. I suppose I have some growing up to do. Or maybe I don't. Is it a crime to prefer steroid laden chicken wings to local artisanal cheeses and fancy sandwiches? 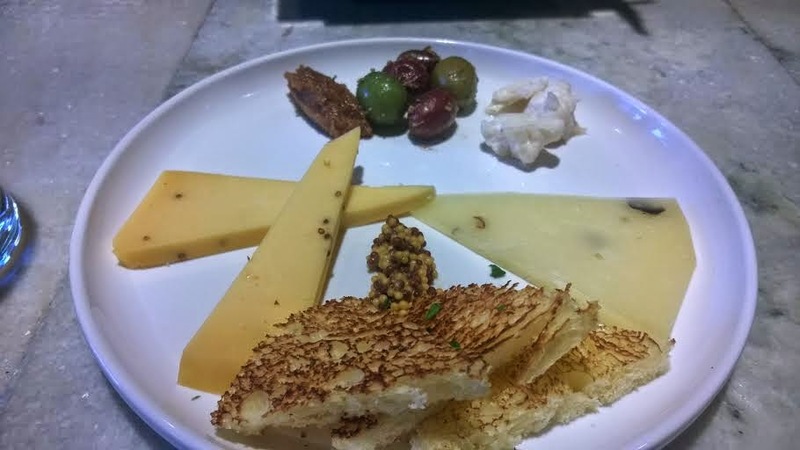 IS THIS A CHEESE PLATE FOR ANTS? Overall the Independent was a great experience and I'd recommend stopping by to check out their daily $4 beer special. If you want to eat and drink locally sourced food and drink, the price points are in line with what you would expect.